Four weeks on the job already, and this is only my first blog post as a member of the Digital Research team. I haven’t even got my staff profile set up yet: LinkedIn will have to do for the moment. Apologies for that: there just hasn’t been the time. I joined the team on April 4th as a Digital Research Specialist for the Faculty of Medicine and Health Sciences, and immediately had to launch myself into getting to grips with scale and complexity of the Faculty and the University. In the first few days, even finding my way around the Queen’s Medical Centre was a challenge. It’s the largest hospital in the UK outside London, and I feel like I’ve walked every inch of it – including, I suspect, a few zones I probably wasn’t supposed to be in. 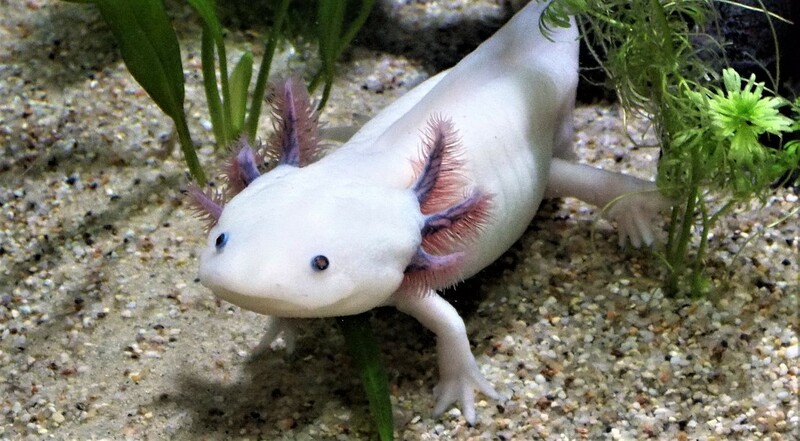 Thanks to a wrong turn into the Life Sciences complex, I now know much, much more about axolotls than I had ever thought possible. Then, just three days into my new role, Scientific American gave me a piece of bad news: this new job was even more difficult than I’d realised. And not because of some paradigm-shifting new technology, or because it revealed there was yet another wing of the hospital I hadn’t discovered. But because research, itself, is harder than it used to be. The graph, as presented in a pair of blog posts by Scientific American’s John Horgan, is pretty stark: scientific research, decade-on-decade since the 1930s, has involved ever-increasing numbers of people and ever-increasing expense. And over the same time, research productivity has steadily fallen. There are a lot of reasons for this, of course, ranging from questions so big they’re almost metaphysical right down to particular legislative acts. And a look at the comments section for Horgan’s articles – or at Sabine Hossenfelder’s related reflections on the field of physics – shows the debates around those points won’t be going away any time soon. For a Digital Research Specialist, fortunately, the question is more concrete: how can digital techniques help turn these graphs around, driving researcher time-investment down and (even better) their research results up? Even with this narrowed focus there are still am lot of options to explore. In the coming months I’ll be talking with researchers at the University of Nottingham and around the UK, observing how they work and what they do, working creatively with them to find solutions to research obstacles – and reporting it all on this blog. As a background for that, I’ll also be nosing around some more general themes, and exploring in a little more detail what I see as three of the more promising tool and techniques for turning around the decline in research outputs – in particular, Open Data publication of negative results; applying automation to manage labs and large-team communication overheads; and reinvigorating lab workflows in ways that facilitate serendipitous discovery. Anyway, the first of these posts – on Open Science and Open Data – will appear next week. In the meantime, I’ve got a few more urgent tasks. Getting my staff profile up. Sorting out medical imaging memory requirements. And figuring out why it is, every time I take a wrong turn in the QMC, I seem to end up at the axolotl lab.